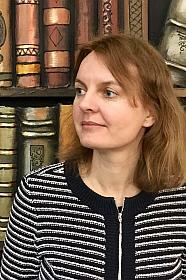 Dr. Agne Limantė ist wissenschaftliche Mitarbeiterin am litauischen Rechtsinstitut in Vilnius. On 21 March 2019, the draft constitutional amendment introducing individual constitutional complaint to the Lithuanian legal system passed the second vote in the Parliament of Lithuania (Seimas) and was finally adopted. As of 1 September 2019, individuals (natural and legal persons) will have the right to directly apply to the Constitutional Court of Lithuania claiming that a law or other legal act of the Parliament, the President, or the Government are not in line with the Constitution and is breaching their rights. That right will not be absolute: this option will only be open if the decision taken on the basis of a legal act violated the constitutional rights or freedoms of that particular person and only after exhausting all legal remedies. In addition, time limits for lodging applications will be set when implementing this constitutional amendment. If the complaint is successful, the Constitutional Court’s ruling would serve as a basis for reopening proceedings of the applicant’s case. The Constitution of the Republic of Lithuania was adopted by referendum on 25 October 1992, right after the restoration of the independence of the state. However, up until now it provided no possibility of individual constitutional complaint. According to the Article 106 of the Constitution, only the Parliament of Lithuania in corpore or at least 1/5 of all Parliament members, the President, the Government, and courts had the right to apply to the Constitutional Court asking for judicial review of legal acts as to their compliance with the Constitution. The Constitutional Court reviews laws and other acts adopted by the Parliament, as well as legal acts adopted by the President and the Government (Article 105 of the Constitution). Individuals, however, had no direct access to the Constitutional Court. If they believed a certain legal act to be unconstitutional and in breach of their rights, they could only try to persuade a court handling their case to refer their case to the Constitutional Court. The final decision about access to constitutional review was thus in the hands of the judge (indirect access). This situation was often criticized with a view to the fact that the majority of EU states have introduced individual constitution complaint long time ago and that international and regional organisations, in particular the European Commission for Democracy through Law (the Venice Commission), argue in favor of such an instrument (see: Study on Individual Access to Constitutional Justice. Adopted by the Venice Commission at its 85th Plenary Session (Venice, 17-18 December 2010)). In Lithuania, the idea that individuals should also have be entitled to lodge a constitutional complaint was in the air for almost two decades. It was discussed both in politics and academia, examples of other countries and documents of international and regional organisations were widely analysed. This debate intensified particularly in 2005 when a group of members of Parliament tabled a draft to amend the respective article of the Constitution (Article 106). In principle, the draft proposed to establish the actio popularis, in which anyone would be entitled to take action against a norm after its enactment and to apply to the Constitutional Court, even in the absence of personal interest. At a hearing before the responsible Parliament Committee, various academic and state institutions supported the introduction of individual constitutional complaint in Lithuania, but argued against actio popularis. A parliamentary working group determined the key points of a Lithuanian model of individual constitutional complaint and suggested a draft. The plan to enact this model in the Parliament of 2004-2008, however, failed when the economic crisis hit Europe. The resolution of the Parliament of 17 December 2009 clearly stated that due to financial constraints in the country the introduction of the individual constitutional complaint would be delayed. After a long period of silence, on the political level the discussions revived in June 2016 when the Constitutional Court of Lithuania adopted a decision wherein it strongly advocated in favor of the individual constitutional complaint and its introduction into the constitutional legal order of Lithuania (Decision of the Constitutional Court of Lithuania of 28 June 2016, No. KT20-S10/2016). The Court referred to the Venice Commission’s recommendations and highlighted the importance of individual constitutional complaint when protecting one’s constitutional rights. In 2017, the draft amendments were again presented to the Parliament. But this was not the end of the bumpy road yet: The voting was scheduled in June, which is the beginning of summer holidays in Lithuania – and the voting failed as too little Parliament members were present. It took another year and half, this time avoiding holiday season, to put the amendment once again up for voting in October 2018. This time it was finally successful and the constitutional amendments passed the first vote. The second voting on 21 March 2019, which is compulsory for constitutional amendments, brought the individual constitutional complaint to life. The amendments were strongly supported my major political powers (106 votes out of 141 Parliament members, 1 against, 1 abstained). The result of the voting was warmly welcomed by experts. As stated the Chairman of the Constitutional Court of Lithuania, “finally, from this point of view, we have become a civilized European state, because an individual constitutional complaint is available in the absolute majority of states where constitutional courts operate. In addition, when an individual constitutional complaint is introduced, people are more involved in state governance as they acquire the right to question whether the acts of the President, the Parliament or the Government on the basis of which the decisions related to them are adopted are in compliance with the Constitution”. Once implemented, the individual constitutional complaint is expected to contribute to the further development of constitutional protection in Lithuania. In addition, as a side result, it is considered to lower the amount of complaints to the European Court of Human Rights since part of the human rights related questions will be dealt at national constitutional level. SUGGESTED CITATION Limantė, Agne: Lithuania Introduces Individual Constitutional Complaint, VerfBlog, 2019/3/26, https://verfassungsblog.de/lithuania-introduces-individual-constitutional-complaint/.